Barry S1 E1 "Make Your Mark" review: Executed deftly, but you'll want more – AiPT! Bill Hader shines in this strong pilot episode from HBO. Sometimes it kills to be a hitman. Much like with any job things can get stale, your purpose lost, and your meaning for going through the motions hard to fathom every waking moment. That’s a place the titular character is at in HBO’s new comedy series Barry, which premiered today. We’ve all been there — in a job we have grown tired of as we attempt to figure out what our true calling is. For Barry, it’s acting, although he may be interested in it for the wrong reasons. 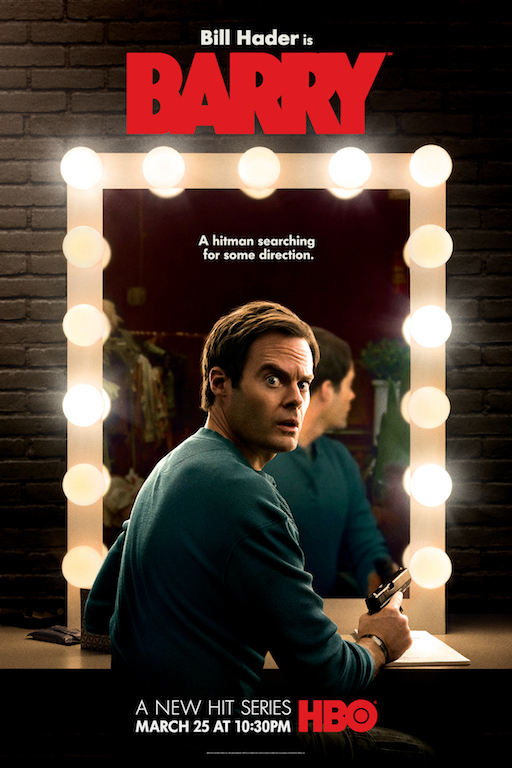 Bill Hader stars in this dark series, which at first glance is more drama than comedy. It opens with Barry in a nondescript bedroom after killing a man we do not know. It’s not until he schleps himself home and gets awakened by his hit-job agent (played by the excellent Stephen Root) that the angle is comedy due to their somewhat strange relationship. Barry is an ex-soldier who was in Afghanistan fighting for America. Now he’s just a guy with one skill who really isn’t sure if killing is something he wants to continue. As the story progresses Barry gets a job in Los Angeles that requires he kill a man who just so happens to be an actor. Isn’t everyone an actor in Los Angeles? As the story progresses it’s evident the comedy is more subversive and character-driven, much like Breaking Bad in its funnier episodes. Hader directs and co-writes this first episode with Alec Berg and together they’ve pulled together a solid pilot. Killing is certainly not the main aim of the show, but when Barry eventually must show off his skills there is no question he’s great at it. Instead, the episode is much more focused on Barry’s obvious depression and seemingly constant desire to do something else. 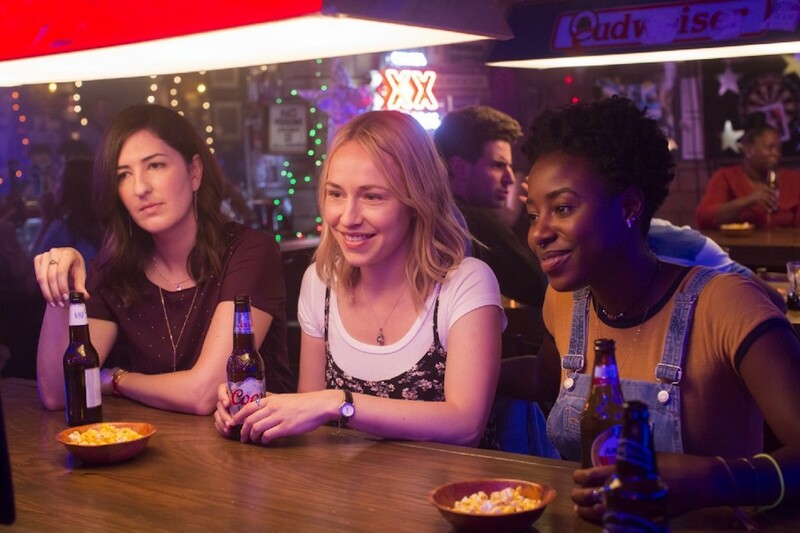 When he mistakenly gets drawn into an acting class it’s due to a girl (endearingly acted by Sarah Goldberg) which eventually leads to him falling for her when they visit a bar after class. One has to imagine being a hitman is a solitary life but it’s on this latest job that Barry realizes he’s not only liked but actually garners attention. By the end, you’ll be intrigued by this character and want to see how he juggles keeping his agent happy and somehow cracking this whole acting thing. The episode may not knock your socks off, however. Barry’s quiet and somewhat shy nature makes it hard for Hader to show us who Barry is deep inside. In an excellent monologue scene for Barry, and the strongest scene in the episode, we do get a sense that he needs to find something else in his life. Aside from that, however, the short 30 minute run time of the episode doesn’t allow us to really know if Barry is aware his desire to become an actor is more about falling for a girl than actually liking to act. I’m sure this will be a plot element moving forward as the supporting cast learns he is a hitman, but after watching this first episode it’s unclear. The pilot episode for Barry does enough to make you want more, but only so much. I wasn’t dazzled by any means and it’s not as funny as I might have expected, but the bones of this series are strong and everything laid out here shows promise. Barry S1 E1: "Make Your Mark"
You'll be on board, but only just enough to stick around for things to really kick into gear.